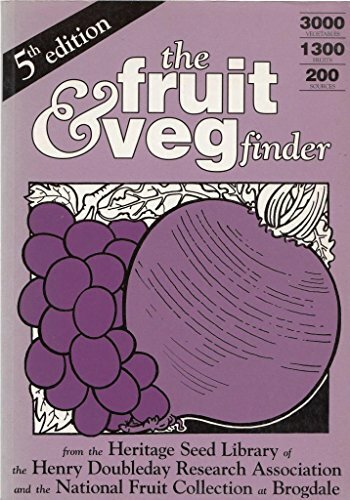 Fully revised and updated, this edition offers access to more than 3000 fruit and vegetable varieties and indicates those that are in danger of disappearing. large shop and office above- 3 storey building.We have about 225.000 books on the premises, covering about every subject. Payment by Sterling cheques,Money/Postal orders on a UK Bank. Paypal. We will also accept payments in banknotes in Sterling,US dollars, Euros, which will be acknowledged by email,same day of receipt. "The Scarlet Pimpernel" can accept credit Cards. Returns and full refunds,subject to usual conditions and notification within 14 days. We have been selling books(and rare coins and banknotes) since 1969,all over the world.